Key West is our nation’s own Caribbean island. 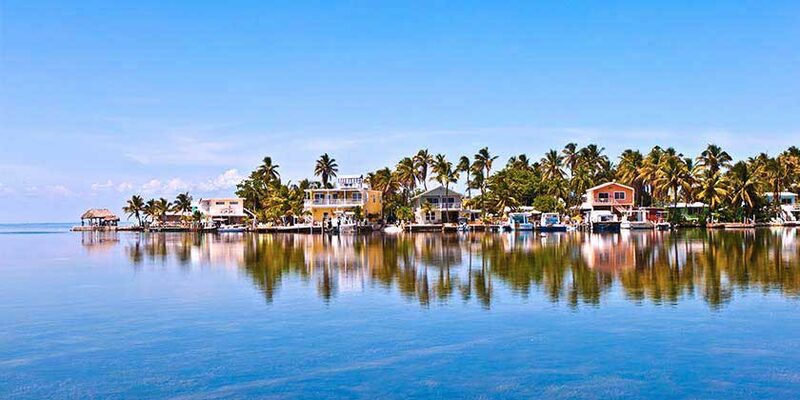 This southernmost point of the U.S. offers a variety of unique activities, including shopping, bar hopping, and a carnival on Duval Street, trolley tours of Old Town, and the former residence of Ernest Hemingway. It’s this eclectic mix that has made Key West an appealing destination for a variety of visitors. Whether you wish to enjoy a margarita at the Hard Rock Cafe or go in search of authentic conch shells on a secluded beach, you can find a wide array of indulgences during your Key West vacation. Get out on Key West's beautiful Atlantic waters to sip Moat & Chandon champagne while enjoying the sunset. Spend a day in the Florida sun, cruising through the perfect turquoise waters that surround Key West on the Echo, a spacious catamaran. While you're in the Florida Keys, enjoy a day at sea on this reef and wreck or offshore fishing adventure. Maximize your Key West shore excursion time on a watersport party boat! Join your gravedigger guide aboard the Trolley of the Doomed for a journey through Key West's darker side! Resort info: Encounter picturesque views and upscale Floridian touches during visits to this splendid island resort. Resort info: Combining distinctive island flavor with a fun atmosphere, this hotel provides colorful suites featuring a separate bedroom, living room, and wet bar. Resort info: Fronting a waterfront promenade that is lined with charming boutiques and cafés, the resort offers a quiet blend of service and amenities. Resort info: Conveniently located where the Gulf of Mexico meets the Atlantic Ocean, this picturesque resort boasts spacious guestrooms with spectacular views. Resort info: Amenities include the typical seaside resort amenities, such as two swimming pools, Jacuzzi, clubhouse, BBQ area and a playground. Resort info: Stay at this Key West oceanfront hotel - Visit famous Duval Street, ideal location to enjoy fishing, snorkeling, diving and parasailing.